This is a well maintained 1958 brick ranch home on 1+ acre of land. 1269 finished sq ft. with full basement in excellent condition. 1st floor features a large kitchen area with lots of cabinet space, all appliances convey, dining room, huge living room with fireplace, foyer with coat closet, wide hallways with 2 more closets and pull down attic stairs gives you room for lots of storage. 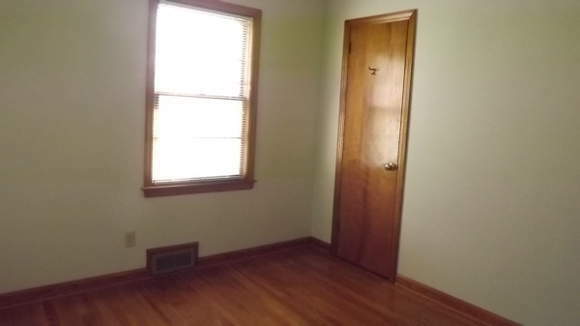 2 bedrooms and a good size bath also with a storage area. Original refinished hardwood floors, no carpet! Fresh and clean with new paint throughout. Central air and heat. The basement is 1269 sq. ft. of open space, new paint, dry and clean. Fireplace and a flue for wood stove hookup, lots of shelves for your canning, crafts, etc., washer and dryer hookup and large utility work sink. There is also a cellar underneath the carport that would be great to store your garden crops, wine, etc. Basement and cellar are both accessible from the inside and outside of the home. Paved drive, front and back manicured yard, rocked flower beds, maple trees, flowering bushes, roses and more. Across the way is the historic Jacks Creek covered bridge with the Smith River running underneath. You can hear the river from your front yard. Nice level area behind the house. A good size storage shed is also located behind the house. This has electric, lots of shelving and room for your lawn equipment, gardening tools, and more. The land continues above the storage shed to the top of the hill. From here you have a nice view of the Blue Ridge Mountains. The previous owner once had a garden at the top, The land would also be a ideal area for planting fruit trees. Woolwine is known for its apple and peach. This home is in a well established neat and clean neighborhood. This home was loved and greatly taken care of. It needs someone to love it again! Great neighbors here in the county. Hope you will come be one.